Hydroponics offers incredible benefits to people and farmers who love gardening. It is a soil-less growing technique that provides a better way to cultivate crops. And the crops have better nutritional value than other commonly grown plants. 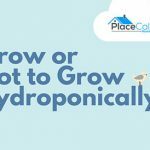 Despite the numerous advantages, hydroponic gardening is often misunderstood in horticulture. In fact, it is riddled with many false beliefs common in the growing community. You will get explanations of some of the beliefs and separate the myths from reality. Hydroponic systems can appear strange to novice growers. But the truth is that the hydroponically grown crops use the same type of nutrients like the soil grown one. Many gardeners use chemical formulas for the hydroponic plants. Plants grow at their own pace which is a natural event. Hydroponics provide plants with the necessary nutrients to enable them to grow healthy. Human involvement in the gardening process is minimal, only used in the construction of the setup. The aquatic environment is responsible for the well-being of the plants. Hydroponics provides the best environment for organic gardening. It is a false belief. In fact, hydroponic is more eco-friendly than traditional methods. The hydroponic systems use less water in comparison to conventional systems. It requires less fertilizer leaving a minimal negative environmental impact. Furthermore, there is no runoff in your rivers or land as it happens in traditional gardening. This means hydroponics leaves a less environmental impact to the surrounding. The system allows reuse of nutrient wastes using aquaponics. The waste is sent to the fish tank and is good food for the aquatic species. The fishes purify the waste and the water which is re-sent to the hydroponic setup for plant use. Hydroponics is the perfect choice for gardening as it has minimal effect on the environment. The plant wastes to do not end in the rivers, streams or lakes or any other water source. It consumes less water and less fertilizer compared to conventional gardening. There is a common myth that hydroponic garden uses harmful grow lights for gardening. The misconception is that the lights have harmful effects to the eyes and skin. The reason behind the misunderstanding arises from the lights in tanning beds. The truth is that the grow light does not give more ultra violet light. The light emitted is small and sufficient for plant growth. Therefore, there is no harmful or dangerous light being used. The myth is that hydroponics is only used indoors. 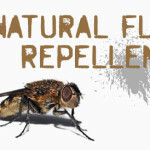 The truth is that it is used in a controlled environment and can be used outdoors. The reason it is mostly carried indoors is to enable the crops to be grown throughout the year. Yet, on a large scale, the gardening technic is practiced outdoors which gives more room for the crops. As a gardener, you can choose to grow your crops indoors or outdoors. Most people prefer indoors to control the crop growing conditions. Ask yourself whether gardening only happens in a greenhouse. If not, then it means hydroponics can be used outdoors and indoors. It is you to choose your preferred gardening technique. 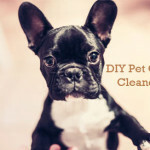 However, it is easy to take care of the plants indoors than outdoors. 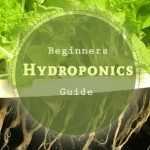 Here have a look at our beginners guide to hydroponics. The initial set up cost is considerable. The gardening costs are more economical than conventional techniques. The growing sector has many reusable materials which balance the costs. For a small-scale gardening, it is more viable and affordable option than traditional gardening methods. The truth is that hydroponics is not difficult to practice. There are several hydroponic kits in the market. They have everything you will need to start the gardening process. The kits include equipment and nutrient solutions. The wide range of solutions available makes the process easy, and it comes with set up guides. 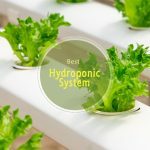 Have a look at our in-depth review of best indoor hydroponic grow system. You can start by getting a tank or bucket and fill it with hydroponic growing medium. You can research on the basic requirements, like using some net cups and a sheet of styrofoam. You can grow a garden full of flowers, food or medicinal plants indoors using hydroponics. 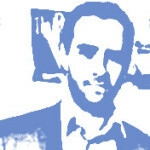 The technique is affordable and has minimal complexities. 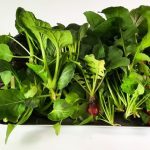 Anyone can grow indoor garden crops without needing a prior experience and with only a small budget.